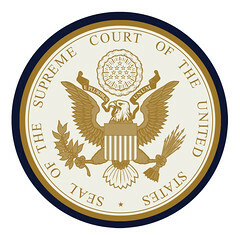 According to a June 6, 2011 article by James Vicini for Reuters (“Halliburton securities fraud lawsuit reinstated”) the U.S. Supreme Court has reinstated a securities fraud class-action lawsuit filed against Halliburton in 2001 by pension and mutual fund investors on behalf of all buyers of Halliburton stock between June 1999 and December 2001. Claimants in the case charge that Halliburton fraudulently overstated its engineering and construction revenues as well as the positive impact its merger with Dresser Industries would have on the company. At the same time, claimants allege, Halliburton misled investors regarding the company’s liabilities due to asbestos. Because of these misrepresentations, claimants argue, Halliburton stock was artificially inflated and, when the company revealed the true state of its affairs, its stock fell dramatically, causing financial loss to investors. The lawsuit had formerly been thrown out of court by a Texas federal judge who ruled that evidence of loss causation, a link between the claimants’ losses and the company’s actions, was insufficient. And an appeals court upheld that decision. Their rulings created confusion among appeals courts regarding the necessity of claimants to prove loss causation early in the litigation process. The Supreme Court disagreed with the judge and the appeals court, ruling that stock fraud plaintiffs do not have to prove loss causation simply in order to pursue a class-action lawsuit. That’s good news not only for claimants in the Erica P. John Fund v. Halliburton case, but also for injured investors throughout the nation who’ve had their suits quickly dismissed due to insufficient initial proof of loss causation. This is certainly a terrific write-up. Thank you for bothering to explain all of this out for all of us. It really is a great guide!